BRETT M. BLOOMSTON is the managing partner of the Birmingham law firm, The Bloomston Firm. He concentrates his practice in the areas of criminal defense, white collar crime, DUI, Civil Rights, and general litigation. Mr. Bloomston served as the President of the Greater Birmingham Criminal Defense Lawyers Association, is a Life Member of the National Association of Criminal Defense Lawyers, a Fellow in the American Board of Criminal Lawyers, a member of the Alabama Criminal Defense Lawyers Association, the Birmingham Bar Association’s Criminal Procedure Committee, and the Birmingham Inn of Courts. In addition, Mr. Bloomston serves on several professional and non­ profit boards and comittees. 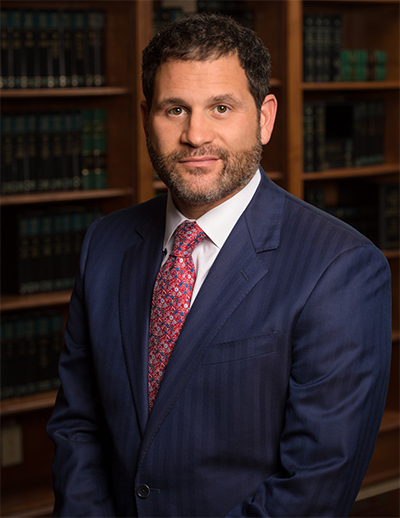 Brett is recognized as one of Alabama’s Super Lawyers and is rated by Martindale-Hubble as ” AV”, that agencies highest rating, and Birmingham Magazine’s Top Attorneys in Criminal Law and White Collar Crime. Mr. Bloomston is a 1993 Honors B.A. graduate from the University of Alabama and earned his J.D. in 1996 from the University’s School of Law. Brett is married to the lovely Marian Nelson Bloomston and the couple have five boys together. ranging in age from 25 to 11 years old. Brett loves to ski and travel in his rare, spare time.